The Nike Kyrie 2 Summer Pack will be releasing alongside the Nike Kobe 11, KD 9 and Hypershift silhouettes to close out the month of August. Dressed in a combination of Light Bone, White and Reflect Silver. 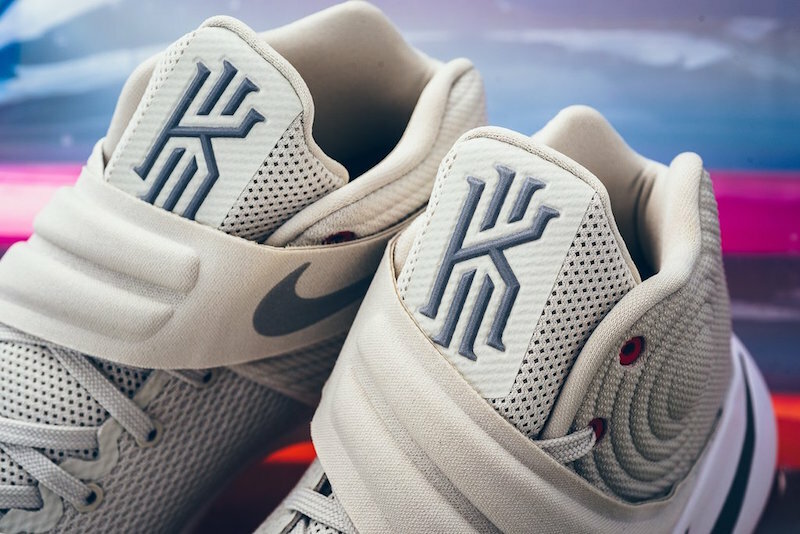 This Nike Kyrie 2 features a full Light Bone upper with minor hits of Red on the upper eyelets and Kyrie logo on the outsole. Reflect Silver covers the tongue and Nike Swoosh that overlays an all-White midsole. Completing the look is a full Gum rubber outsole. Look for the Nike Kyrie 2 “Summer Pack” to release on August 31st, 2016 at select Nike Basketball retail stores. The retail price tag is set at $120 USD. UPDATE: New images of the Nike Kyrie 2 from the “Summer Pack” that drops on August 31st at select stores like Sneaker Politics.